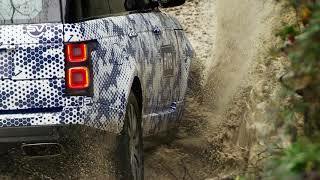 Land Rover recently shared its first armored vehicle Range Rover Sentinel 2016. The model is scheduled to make its public debut on coming 15-18 September at the Defence and Security Equipment International in London, UK. Equipped with world class security the model is expected to define the armored vehicle segment in a new way. Let us have a look at the review of Range Rover Sentinel 2016 to know more about it. 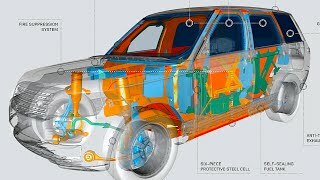 While creating the Range Rover Sentinel 2016 engineers at Land Rover not only emphasized upon providing just the security but also kept complete care of comfort and command over any terrain. The model has been created with high strength steel and uses multi-laminated armor privacy glass. The setup can very well withstand ballistic threats as certified VR8 by QinetiQ. The company claims this model to be one of the most extraordinary vehicles ever created by them. Its design and the materials so used keep it stable on all terrains and also when the time’s of attack. Model comes with anti-tamper exhaust, a self sealing fuel tank, a split charging system and auxiliary back-up battery. WHAT MAKES THE RANGE ROVER SENTINEL 2016 SO SPECIAL? 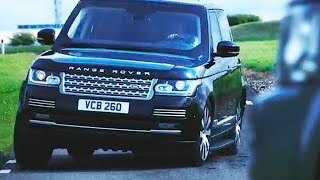 The features I mentioned above could make you presume that the Range Rover Sentinel 2016 is just like any other armored vehicle in market, but wait it has some additional features as well. The model in case of emergency, the one in which you are stuck have no way to escape, offers you an Emergency escape system from behind the rear seats. However to inculcate this feature no compromise has been done with the tailgate design and other parts. There are few more optional protection features like under floor and under bonnet fire suppression systems, a configurable siren system, emergency service lights and external speaker system to address people without compromising with the safety. The Range Rover Sentinel 2016 beneath its hood brings a 3.0 Liter V6 engine delivering total output of 340 hp. Though there isn’t any other information that has been shared, however we might expect the rest by mid of September.